Based in Eibergen (East of Holland). 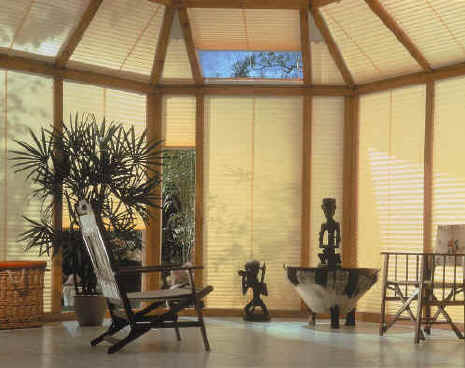 Textiles for blinds & curtains. Inventors of metallized fabric and pleated blinds. 100% Polyester Aluminized in vacuum. Low / no emission production process. No toxic smoke / gases during fire. - Light transmission as low as 4% (875: LTA= 4%). - Heat reflection up to 75% (direct) (875: ZTA= 30%). Insulation (Reduction of heat loss 20%). Super thin fabric - many meters per roller cassette. ZTA = % of heat entering the building. LTA = % of light entering the building.